Nisei Week in Downtown Los Angeles; a time to celebrate the Japanese-American culture in the best way; good food, great location, lots of celebration, people dressing up in Japanese attire and of course the Nisei Showoff. I wasn’t actually planning on attending this year for a few reasons, but because I sort of volunteered my car to help Yuta out, I ended up attending later in the day. I had work in the morning all the way in Orange County, so I didn’t actually end up getting to Little Tokyo until a little after 3. I had been driving Allan’s Fit because he had to drive my car to LA that morning to set up at the Wheel Flip booth. Actually a really good thing because his Fit has great air conditioning, and it was basically the hottest day of the year. So due to my time constraints, I didn’t get as much coverage as I usually do – which I don’t really mind as I wasn’t planning on going anyway. The cars I did really want to get shots of, the Loi-Spec Integras, all left a bit early so I never got the chance to photograph them. Not too big of a deal though as I’m sure I’ll see them at a Raceline event in the near future. It probably didn’t help that the first thing we did when we go into the show was…leave the show. I couldn’t help it though; I was starving and in Little Tokyo – I needed ramen and a beer. If I were to be completely honest, it seems like the turn out wasn’t anything like the previous years; the lot was not as full, and the crowds just weren’t there. This could be for a few reasons; one being that the Infamous Hellaflush meet was being held on the same day in Long Beach, and the other being that this event seems to always be ‘up in the air’ as to whether or not there will be a next year. Why the Hellaflush meet was planned for the same day is beyond me. It seems almost suicide for the ‘scene’ to plan two huge events on the same day, 20 miles apart from one another and tear people between which to attend. Anyway, most of my shots were from later in the day as people were getting ready to leave, so I apologize if it seems strange. Click past the break for the first part of the coverage. It feels like it’s been so long so my latest post! My apologies, as I’ve been extremely busy this past week; traveling for work as well as trying to buy some property. I am super stoked on NDF though because I’ve been getting some really cool inquiries as of late. I’ve also just got the go to start planning my next trip back to Japan – which is going to be quite awesome. The best news is that I plan to share it all on the blog. While I try to keep the ‘personal’ out of this page, and stick just to features, events, and auto related posts, it is after all a blog about Japan. I figure the followers would be just as excited as I am to see what a week spent in Japan visiting tuner shops, attending a Super GT race and interviewing tuners is actually like. March is a great month for motor sports all over the world. I don’t even have to mention the start of Formula 1; but in Japan specifically it marks the beginning of Super GT, Super Taikyu, and a handful of other series. 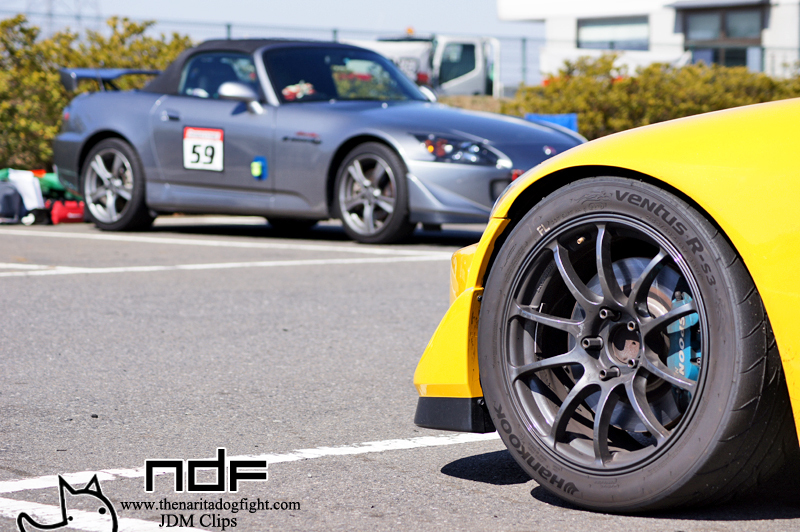 JDM Clips recently attended the Super Taikyu Official Test Day at Fuji Speedway. Needless to say, the 6 different classes involved in this series makes for a great amount of variety on track. In my opinion, one of the coolest entrants is the DC5 – and it seems to be a popular platform as well. In this post, I focused on only that chassis. Click past the break for more! As I wind down the Wekfest SF 2012 coverage, I was debating throwing everything I had into one final post. As I was going through the shots though, I realized I had a little too many for one post. So, in the sake of saving some time, I decided to split them up in to two posts. I saw though, that the majority of what I had left were photos of Honda’s! Which is actually pretty cool because now I have enough for a Honda specific post. If you’re a fan, then this will be a must to check out. There were so many nice Honda builds at the show and I hope I got to see most of them. Click past the break for a good sample of what was there. By now I’m sure there is extensive coverage of this show up on every forum, blog, and auto site across the entire internet – so let me first thank you for sticking with NDF. There are a grip of sites out there to get content from, but I want you to know that, although new, NDF is here to stay. From where we are now, we can only get better. So I’ve gone through hundreds of photos and it looks like I still have two or three posts left for this show. Most car shows I just breeze through because I end up seeing the same stuff over and over; but since I don’t go to shows in the Bay area that often (I don’t go to care shows that often anyway; although I may attend more than I think! ), I really got to see a lot of different things not from So-Cal. Enough with the talk, let’s get into some more coverage! I got some interesting stuff in this post, so click past the break for part three of NDF goes to Wekfest SF. I thought it might be appropriate to end my Eibach coverage with a poster shot of the Eibach built CR-Z. One of only two at the show; the other being the Honda Tuning CR-Z that was parked next to the Chronicles booth. You can see behind the car the giant line that had formed in the afternoon as soon as they started giving away free stuff…scavengers. I’ve been at work everyday since the show, so I haven’t really had a chance to scope out what other people have been covering. I know for a fact I didn’t get as much coverage as I wanted to, especially around back of the building. Hopefully you enjoyed everything up until now. Check out the last gallery past the break, and I’ll see you all again at the JDM Yo! Anniversary meet tomorrow. OK, on to round two of the Eibach Open House coverage. Hope you’re liking the content so far – the sites traffic always shoots up dramatically when I post event photos. Now that I’ve browsed through the shots I took and can truly say I am floored by some of these builds; like Mike G’s internet famous EG. I’ve known Mike for a few years now on theJDM and NWP but he always seemed to elude me at shows. I’m glad I finally got to meet up with him. Cars aside, these shows are a great chance to meet the people behind the scenes; those who constantly push the industry to new heights. There has been a ton of coverage popping up on forums now that it’s been a few days, and I thank you guys for visiting NDF. Check out The Chronicles for Joe’s coverage of the show from his point of view. He’s got a great knack for free writing, and his posts are always interesting. Enjoy the second gallery past the break! 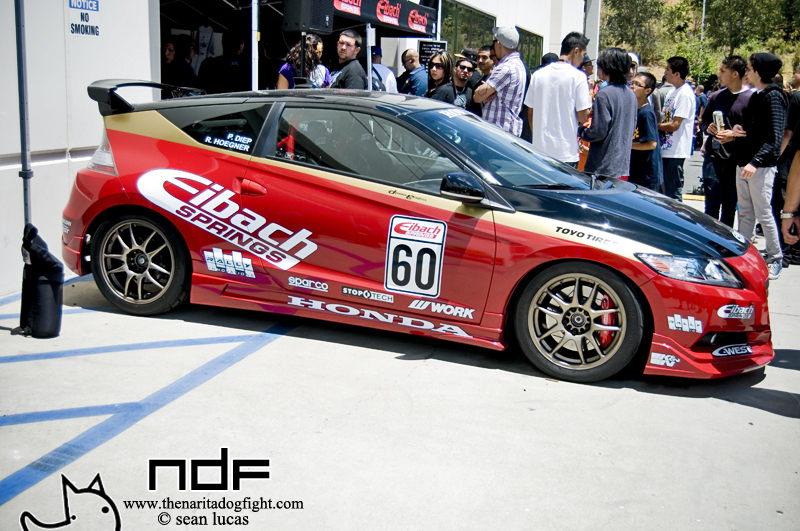 For 7 years now Eibach Springs, with the help of some dedicated people, have been hosting the largest Honda/Acura meet in the country at the company headquarters in Corona, CA. Each year I attend, and each year I am blown away at the quality of some of the builds, as well as the sheer amount of people in attendance. Despite the rain in the morning, thousands of Hondas stormed the gate and filled the side streets even before the show officially began. If you’ve been before though, it’s to be expected. I tried to get the best coverage possible, but with this many cars it’s pretty tough. Click past the break to enjoy the new gallery feature of NDF. Due to some unforeseen trouble with my own car (i.e. broken driver side knuckle), it took me a little bit longer than expected to get this second part up; sorry ‘y’all. In the last post, I mentioned a little bit about the breakdown of classes and regulations for the Circuit Challenge. So for this one I’ll just let the pictures do the talking. I really like this shot, with the CR in the background. As I was taking a second look through some of the shots, I noticed a few EK chassis that were worth putting up. Check um’ out past the break. 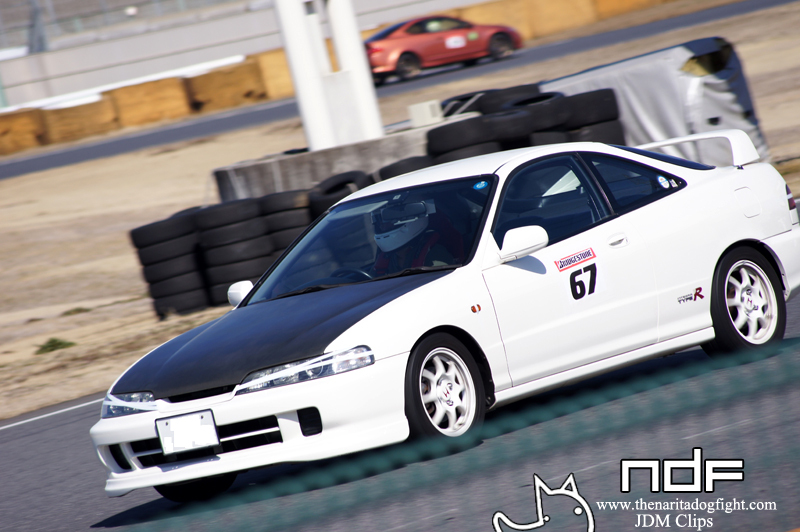 Anything doing is worth doing right – and Mugen does track events right. Open to anybody with a Honda, enter into the Circuit Challenge and you are graced with four 15 minute runs on Tsukuba 1000 circuit, professional instruction on and off track, ride alongs with current professional racing drivers, the opportunity to drive one of three Mugen built machines, and the option of trying out Mugen products during your track time for free. This year there were 86 drivers in attendance, including JDM Clips own Taka. Check out the action below. In the continuing coverage from Sunday’s toy drive & car show at Cerritos Honda, we’ll check out all the other great entrants; like the immaculate RyWire CRX. I recognized a handful of So-Cal regulars, but was happy to see some new builds as well. Click past the break for more. Next up in my Close-Up series is the bright orange Integra Type-R built by Type-One. Near flawless paint aside, you can recognize this as a possible race car because of the sticky Advans that are wrapped around the track-worn SSR Type-C’s. A closer look reveals most of the interior still in-tact; pretty common in Japan because of the abundance of open track events at places like Suzuka, Fuji, Twin-Ring, and Ebisu. Click past the break for more pics.